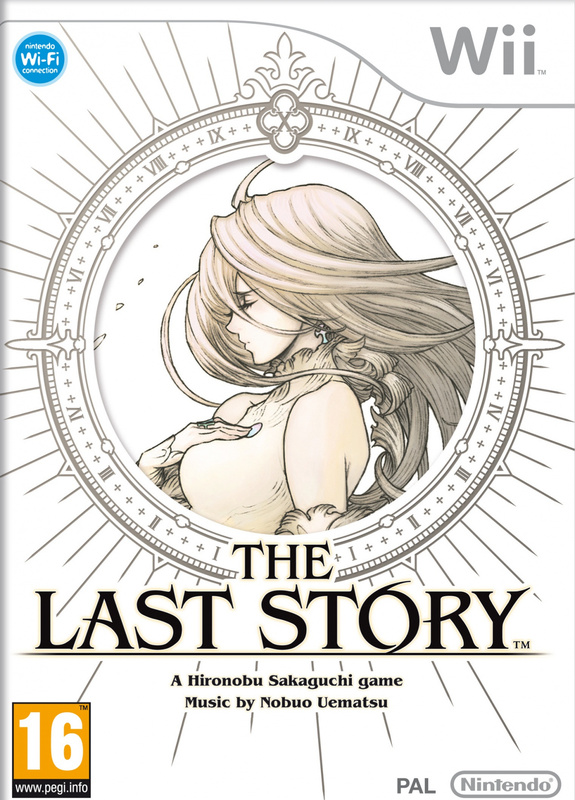 Yesterday we reported that GAME won't stock The Last Story limited edition but now it's dropped the game completely. 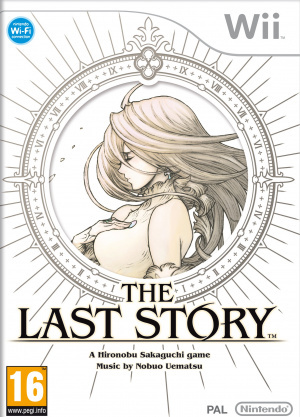 Unfortunately we are no longer stocking The Last Story on Wii. If you return to the store they will be happy to refund your £5.00 deposit. I apologise for any inconvenience caused. The game also isn't available online from either GAME or Gamestation's websites. 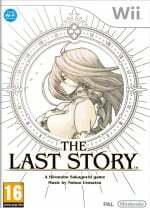 Last week GAME didn't stock Tekken 3D Prime Edition; this week it's The Last Story. Recently GAME Group has struggled to secure credit, which means publishers and distributors risk losing their money if GAME is unable to sell stock. However, recently the company agreed to "operate within lower limits of its existing facilities than was previously available". I'll never shop at GAME again. What the hell is going on at GAME? The amount of games that GAME are refusing to stock is getting ridiculous! I think I'll stop shopping there. I know The Last Story isn't the biggest release in the scheme of things but GAME can't keep doing this. Can you guarantee pre-orders for games that you are currently selling? Or not, as it turned out. Honestly, I'm never pre-ordering anything from GAME again. Their service has really been going downhill lately, with pre-orders arriving days late without any explanation. This is the last straw for me. It's cheaper to go elsewhere, anyway. That would really piss me off if I had ordered a limited edition version and was now unable to find one due to Game's crap. Sorry to my UK friends that were effected by this! Well that's quite shocking but I do believe they've been a victim of their own success. I tried to buy Resi Revelations from a london Game store last weekend and they didn't have it in stock, they rang round other london stores but no-one had it, and it's out of stock on their online store?! I like to buy my games on the high street but Game are making it difficult. What surprises me is that Nintendo did not publish his own franchise in America when hiso in Asia, Europe and America Ossianic but the request to another company. Its because of the UK's economy becoming ****** up more now. This is REALLY bad. better start using those GAME vouchers now. Abandon ship! I've got £90 on my Game card!! Cripes! Don't buy it from Tesco. They're selling it for £35.47. The Limited Edition is £43.97!! I don't get new games from GameStop. I get them from Target. @edhe Most Wii games are around £40 at launch so that doesn't seem that bad. Both GAME (before it was removed) and Amazon lists the game at £29.99. I'm just shocked Tesco doesn't worry about undercutting prices. That's what they do, right? And as for getting this game, I may switch over to HMV (another doomed company), or I may just buy it on Amazon. Hopefully, I can pick up a copy from the apparently limited stock before it sells out and the price skyrockets. Amazon is selling the limited edition for £37.99 - if only it was £29.99! I am, of course, referring to the standard edition. Wow I wonder if that company is going out of business or something. If I were you people in the UK I would buy it up on Amazon before the prices get crazy due to Game not carrying it. I noticed in Gamestation today that they're asking for £5 deposits to pre-order the upcoming releases, such as SSX, Mass Effect 3 etc. Now, I really doubt SSX is going to be popular enough to warrant a £5 deposit to get it on day 1, so I smell a rat. No wonder GAME is struggling, I've had nothing but problems with them pulling a fast one with pre-orders and the amount they charge me, and now they pull a stunt like this? Ridiculous. Good riddance to those 35 stores. ...GAME is different from Gamestop. They also don't have Targets in the UK, last I checked. @MentheLapin Good riddance to those people who work in those 35+ stores as well? Who need money to support themselves and/or their families? no wonder game cant afford to stock these games. they`ve probably got so much ds an wii shovelware they can`t sell it`s now affecting business. which serves them right really. @ Aviator I feel truly sorry for all the people who will lose their jobs, but that's no reason as to why I should go and shop at a store that (usually) offers lousy customer service, extortionate prices, and pulls stunts like this. Don't be blaming us as angry customers for not caring about Game's problems, blame Game's head office for allowing the company to get like this and develop the reputation it has in the first place. I got my Last Story Limited Edition through the post earlier from Shopto.net by the way, very happy with it. Good show Game! Good show! Ouch, I hope everyone still manages to find a copy. Easy solution for the future; Don't buy from GAME. Wait so no more Last Story NA? No. This is about a specific, presumably British chain of game retailers deciding not to carry the game. It should have nothing to do with the US getting the game. Actually the problem for Game is that despite them making a profit, the boom in over-the-net downloads has meant they're not making as much as expected... and banks don't want to lend them money (most companies get loans to cover expenses based on projected profits). A rise in illegaly downloaded games hasn't helped either. All this talk of "WUT they can't afford to put games on the shelf? I'm not buying from them" talk is a little counter-intuitive isn't it? Surely when one of the great British games stores (one of VERY few specialists left) is in trouble it needs support instead of attack? Game put on a lot of specialist gamer events, especially for Pokémon players in the UK... I hope they survive the current troubles or else HMV will have a virtual monopoly on gaming prices. the main thing that worries me at the moment is that if Game goes bust, there is tha possability that Gamestation goes down with them. i know that there are other options on the high street, HMV, CEX, supermarkets, but i don`t want to waik round the whole high street to find who is stocking what games. especially as all of the alternatives rarely do any kind of deals on games, with the exception of CEX who deals solely in second hand entertainment including games. @DanteSolablood: Game are not a specialist gaming store. They are - or have become - a very generic outlet that gives shelf-space only to a handful of blockbusters (indie/niche titles don't get a look in) and a ton of second hand stuff, which they sell at next-to-new prices without having to pay a penny to developers/distributors. Through their greed they have worked to undermine the very industry that sustains them, and that industry is now starting to bite back by refusing to distribute new games to them unless they pay up-front. The pigeons are coming home to roost. I feel sorry for the staff, though, who are often good, honest, well-informed gamers, caught up in a situation that is not of their own making. Then again it could be the devs not supplying them as indicated. The only thing is it may effect the sales of the game negativelyt due to lack of exposure in retail. Also, will people think there's something wrong or poor about the game and that's why its not stocked? Hope not. I went around 3 GAME stores yesterday looking for Resident Evil Revelations and not 1 shop had it. I then thought to look online but guess what? No stock available. I finally found a copy in Sainsburys of all places. It's a sad day when a supermarket is a better option to buy a game than an actual game shop. I also noted the fact that the GAME stores all have much less on offer than they had even 2 months ago when I was last in. No more custom from me. I spent my last £15 in there yesterday getting an xbox 360 game and using the last of my reward points as they didn't have what I was looking for. It should be worth pointing out that GAME fully owns Gamestation - therefore if GAME goes under then Gamestation will do too (unless a buyer is found for the Gamestation brand by any bankruptcy administrator). It should also be noted that HMV is also struggling to survive - just last month it announced it was considering scaling back the sale of video games. I wouldn't bet any money on all three still being alive at the end of the year. Maybe I was too hasty with my outburst towards GAME (I bought Saints Row 3 with £17.50 of my store credit (plus £19 cash) on that very day before returning home to find my preorder cancelled), but I feel I should give them one more chance. After all, I've only had one of my preorders cancelled (on the day before release no less) with them. I'm going to preorder Pandora's Tower with them - if they can't stock that game (another sought after Nintendo game), but are able to fill their shelves with Zumba, casual games and other formats, I will spend the last £1.81 of my store credit (I'll have to do it online, because they only allow you to use you crdit in £2.50 increments in store) on Theme Hospital, ritually destroy my card in front of the clerk (making sure they know I'm unhappy wit the company and not the employees who are actually quite friendly) and vow never to shop there again. Unbelievable. I only found this out today after checking my order status Monday and discovering the link to the title turned up nothing. Needless to say I've cancelled my Pandora's Tower pre-order as I'm not interested in guessing whether or not I'll get the game! Heck, they didn't put Bit.Trip Complete into the catalogue until after I'd already pre-ordered with Amazon! I could understand if this was a 3rd party game, but there is no way to justify not stocking a 1st-party published title. I've switched to Amazon/The Hut and I'm not looking back.